Learn all about which option is best for cooling and heating your home. If you’re living in an older home, you’d easily recognize an analog thermostat anywhere. For decades, people have relied on analog thermostats to provide them with a constant supply of heat and keep their homes nice and toasty. But these efficient devices burn major holes in your pocket via the hefty energy bills that you’ve to pay every year. In today’s green-friendly, energy-saving, cost-effective times, analog thermostats don’t quite make the cut when it comes to providing a low-cost heat supply that does not have you dealing with inaccurate readouts and the loss of valuable heat when you forget to turn down the thermostat in your home. With the speed with which the world is going digital, is it any surprise that your old, trusty heating device has a better, more efficiently energy-conserving digital counterpart? The thermostat is a valuable tool as it controls the heat supply and the air conditioning system in your home. Technological advancements have made possible glitzy ‘cool’ thermostats with options like a LED touchscreen display, intriguing designs, Wi-Fi facility, self-learning capability, accessibility to your smart phones and many more that will make you pause in surprise as to how far we have all come from our knob-and-button system, handy analog thermostats. These mercury thermostats are literally being left behind in the dust as everyone is grabbing digital ones to be on top of their thermostat game. In 1620 England, a thermostat type controller device was first built to regulate the temperature of a chicken coop; at least that is the first instance of a thermostat to be actually recorded. And these rustic devices continued to be used as such till around 1830, when further advancements were made. If you want to know about the oldest patent for an electric thermostat, it would be 1328427, which was applied for in 1915 by A. Goldstein and it was issued to him in 1920. A quick search in the patent database reveals more than 340000 entries for the term ‘thermostat’. The website of the Department of Energy states that digital thermostats are liable to save you as much as 15% on your energy bill annually, if these things are programmed or set properly. Even if you don’t touch your brand new heating devices, you can save at least 5% on your total every bill. Why do you save so much moolah on digital ones and not on analog thermostats? The reason is simple – these new thermostats are equipped with the ability to program them according to your preferences. You can set automatic temperatures or even apply certain parameters for when you are not at home. For example, if you set your AC from your analog thermostat to 71 degrees, it will continue to keep it cool at 71 degrees even when you have left home and do not need the cooling temperature. That’s wasted energy and it leads to a heavier energy bill. In house with a digital thermostat, you could set it so that the temperature goes up to 75-77 degrees and initiate cooling an hour or so before you come back home. This is how you save energy, and reap the benefits of a cool home without the hassle of fidgeting ts the settings on your analog. The only benefit that these mercury based heating devices have these days is the lesser price rate than the digital ones. But that factor is easily negated in the long run, as temperature accuracy and a higher energy bill more than ‘make up’ for its lower cost. Plus, you cannot set your analog thermostat using your smartphone or access it remotely, or learn temperature patterns. Then there is the fact that digital ones are just so much better looking with sleek, sophisticated designs and a display in full HD color. Analog thermostats are mercury based and modern science reveals that mercury can be dangerous in your home. People have started to avoid fluorescent light bulbs and other products that require mercury to work, because an accidental spill could be hazardous to the health and safety of your family. We have already discussed the key points when it comes to the benefits of using a digital thermostat – health and safety reasons, monetary benefits, convenience, accuracy etc. It becomes obvious why many homeowners are enthusiastically getting these digital heating tools installed today. Let’s take a deeper look at the various advantages. Everyone and their cat is going green today. Plus, in this economy saving money on utilities is important and a necessity. By programming your heating and cooling requirements into a digital thermostat ahead of time, you save maga bucks on your electricity bill. Choose the temperature you find most comfortable as per the time of day or night, not like the one-setting-24-hours system of an analog one. One thing that has really simplified our lives is an accurate readout in a digital heating/cooling device. Just think about it – an analog that has an inaccuracy factor of 3 degrees could cost you up to 7% in your heating bill during extreme winters. This could easily be hundreds of dollars of wastage of money and energy for certain homeowners. 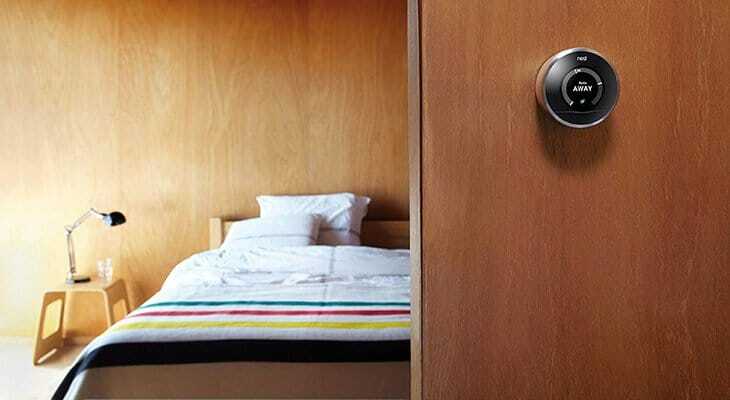 Forget about changing your thermostat setting every time you leave your home. Just pre-set according to your preferences and timings, and be on your way. Saving money couldn’t be more simpler or efficient! There is is only one disadvantage to a digital thermostat – its higher price cost. But the initial investment more than pays itself off by saving you so much more on your electric bills annually. Are You Scared of Going Digital? Some homeowners are concerned about the programming capability of these advanced devices and whether or not they can operate one easily. We would advice that you go digital thermostat shopping and take a look at all the models available today. Many are extremely simple to use and there is no cause for concern or confusion. 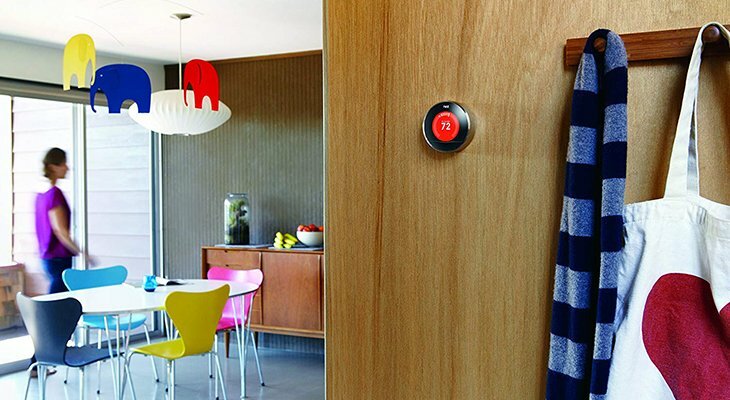 A self-learning thermostat, this one comes jam-packed with all the cool features you may find in top-notch digital devices, with schedule changing settings that can be carried out from your phone, tablet or computer. The high cost will easily be paid off in an year or two in energy savings. 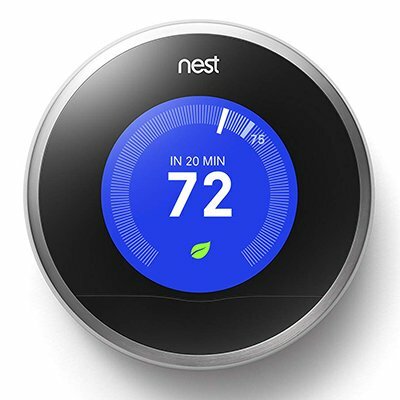 Though this one does not have all the bells and whistles of the Nest one, it still delivers the savings. 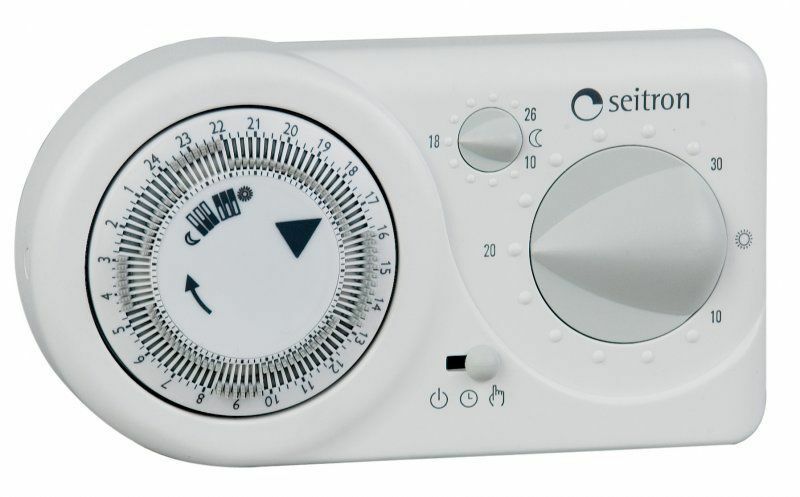 It does the job well, is easy to operate and has a much lower price cost than many other digital thermostats. 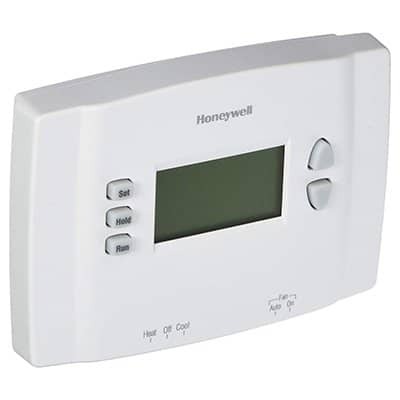 If you compare the features or perks of analog thermostats versus digital ones, it would be like comparing night with the day. The digital devices are so much better at controlling the heat and/or the cooling temperatures in your home or office. If you’re still on the fence about digital thermostats, you can try out a free tool/app online at DOE Programmable Thermostat Tool, where you can play with the features and settings and get a feel of how a digital thermostat actually works.